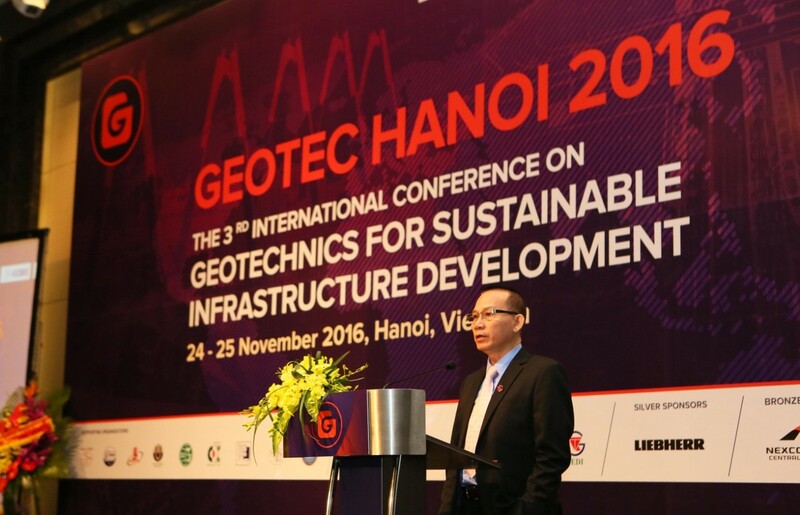 3rd International Conference GEOTEC HANOI 2013, on Geotechnics for Sustainable Infrastructure Development, in Hanoi, 24 – 25 November 2016. GEOTEC HANOI 2016 was successfully organized on 24-25 November 2016 in Hanoi, with 600 attendees, of which 235 international, from 31 countries. The conference proceeding consists of 145 papers. 88 were presented in two parallel conference halls. The First and Second GEOTEC HANOI conferences were successfully organized in 2011 and 2013. The conference’s main purpose was to provide a forum to interchange ideas, experience, and knowledge in the interest areas. 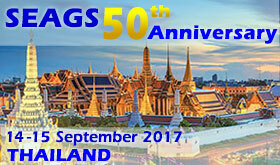 Continuing from the success of the two previous event, the conference was decided to be held every third year in Hanoi. Hosting the Third Conference are FECON Corporation, a leading geotechnical/infrastructure contractor in Vietnam and the Vietnamese Society for Soil Mechanics and Geotechnical Engineering (VSSMGE). We are grateful for the Japanese Geotechnical Society (JGS) having accepted to serve as international co-organizer. 5) Monitoring, Inspection and Maintenance. 5) “Ground and structural response to tunneling – lessons learnt from three major projects in London”, Dr. Jamie Standing (United Kingdom). GEOTEC HANOI 2016 instigates a special honor lecture named Sven Hansbo Lecture. Professor Hansbo, a giant figure in the geotechnical world, has contributed significantly to the development of geotechnics in Vietnam by direct advice, by taking Vietnamese students into his teaching programme in Sweden, and by his contributions to the first two conferences. The First Sven Hansbo Lecture will be presented by Prof. Bengt Fellenius.